69,2 x 50,2 cm - 27 3/16 x 19 3/4 in. Mme de Clermont, Paris, 1899 – Bernheim-Jeune, Paris, circa 1914 (Stock n° 1261) – Reid & Lefevre, Londres, 1928 [conjointement avec Knoedler, Paris, New York] (Stock n° A 693) – Mme Edouard L. Jonas, Paris, 1929 – Mme H. Harris Jonas, New York, circa 1949 – Wildenstein & Co., New York – Norton Simon Foundation, Pasadena, 1977. Paris, Grand Palais des Champs Elyséees, 1900 [?] – Paris, galerie des Arts, 1912, n° 106 – Paris, galerie Georges Petit, 1924, n° 130 (repr.) – Paris, galerie Bernheim-Jeune, 1925, n° 34 – Lucerne, 1929, n° 4 – Glasgow, Reid & Lefevre, 1929, n° 2 (repr.) – Wilmington, Society of the Fine Arts, 1931 – Cambridge, Fogg Art Museum, 1931, n° 13 – Dallas, Museum of Art, 1936, n° 13 – Cleveland, Museum of Art, 1936 [?] – Paris, Orangerie, 1937, n° 105, pl. XVIII – Paris, Palais national des arts, 1937, n° 307 – Amsterdam, Stedelijk Museum, 1938, n° 104 (repr.) – New York, New School for Social Research, 1949, n° 6 – New York, Wildenstein & Co., 1949, n° 55, repr. p. 41 – New York, Metropolitan Museum, 1966, n° 4 – Rome, Complesso del Vittoriano, 2004-2205, fig. 30, repr. 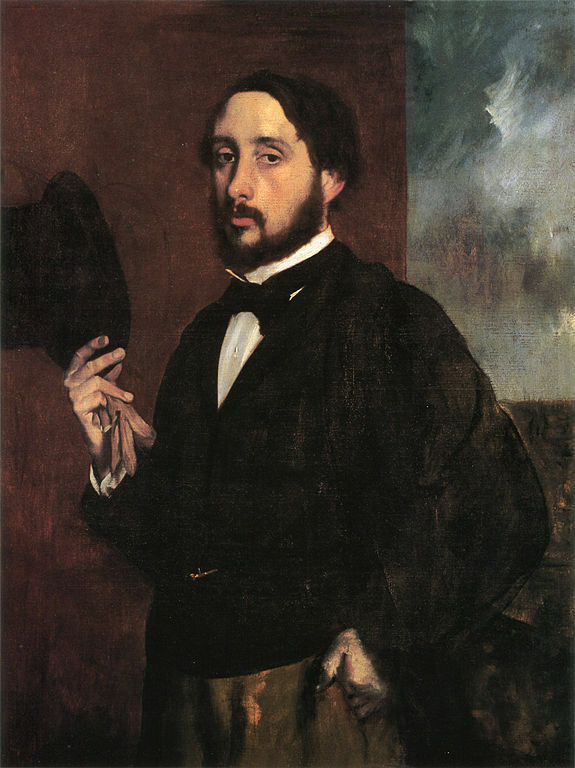 p. 39 - Degas in the Norton Simon Museum, 2009, n° 13, repr. p. 139. Alexandre, Les Arts, août 1912, p. IV (repr.) – Lemoisne, 1912, p. 82 – Borgmeyer, 1913, p. 237 (repr.) – Vollard, 1914 [n.p.] (repr.) – Lafond, 1918-1919, I, repr. face p. 72 – Mourey, 1918, p. 125 (repr.) – Bernheim-Jeune, 1919, I, pl. 53 – Hertz, 1920, pl. XII – Meier-Graefe, 1920, pl. 100 – Meier-Graefe, 1923, pl. XCIX – Lemoisne, 1924, p. 104, pl. 13 – Glasgow, 1929 – Artnews, 1931, p. 3, 5 (repr.) – Knowlton, 1931, p. 52 (repr.) – Morand, 1931, p. 44-45 – Mauclair, 1937, p. 121, repr. p. 167 – L’Amour de l’Art, mai 1938, n° 4 (repr.) – Frankfurter, 1938, p. II (repr.) – Mauclair, 1941, p. 66, repr. p. 123 – Mauclair, 1945, [p. 29] (repr.) – Rouart, 1945, p. 18-19, repr. p. 20 [détail], 72, n. 44 – Lemoisne, 1946-1949, II, n° 585, repr. p. 331 – Dumont, 1948, p. 46, repr. p. 47 [détail] – Lassaigne, 1947, p. 33 (repr.) – Schwabe, 1948, p. 1, pl. 1 – Browse, , pl. 64, p. 59, 360 – Browse, 1960, fig. 34 – Reff, Metropolitan Museum Journal 4, 1971, p. 150-151, fig. 15 – Lassaigne, Minervino, 1974, n° 753, p. 120, repr. p. 121 – Reff, 1976, The Artist’s Mind, p. 283-284, 337 – Dunlop, 1979, p. 139 (repr.) – Selected Paintings at the Norton Simon Museum, 1980, p. 113 (repr.) – Terrasse, 1981, n° 351 – McMullen, 1984, p. 362, repr. p. 363 – Shackelford, 1984-1985, p. 61, fig. 2. II – Maheux, 1988, p. 29, 80, n. 32, figs. II, IIa, 16 – Gordon, Forge, 1988, p. 167, repr. p. 179 – Hüttinger, 1988, [p. 67] – Rouart, 1988, p. 44, 45, repr. p. 48 – Keller, 1988, p. 102, fig. 85 – Paris, Ottawa, New York, 1988-1989, fig. 97, repr. p. 202 – Bade, 1991, p. 116 (repr.) – Dawkins, 1991, p. 208, fig. 49 – Bade, 1992, p. 116, repr. p. 117 - Kent, 1995, p. 53 – Thomson, 1995, p. 42, fig. 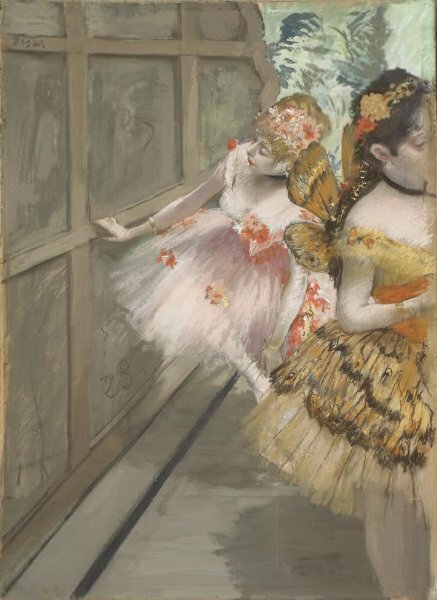 26 – Kendall, 1996, Degas Backstage, p. 39, repr. p. 77 – Scharcherl, 1997, p. 51, repr. p. 123 – Detroit, Philadelphie, 2002-2003, fig. 192, repr. p. 172 – Bomford, 2004, p. 31-32, fig. 26 – Rome, Complesso del Vittoriano, 2004-2005, fig. 30, repr. p. 39.